If you think the answer is “yes,” think again! Modern science has answered this age-old question: Dogs can see color, but not in the same way that we do. The palette of colors they can see is limited in comparison to ours; it is also less vibrant. Dogs only have two types of cones, so they see orange, yellow, and green as yellow. Blue-green is seen as white and red looks as though it is brownish-black. While they can see blue, they can’t distinguish shades, especially as the color blue gets darker. 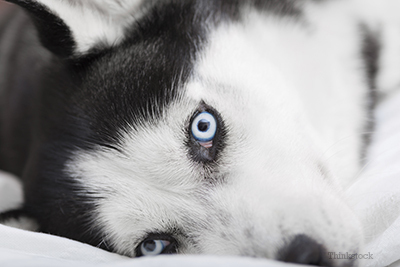 To learn more about how dogs see color, click here.